My BigPond Emails keep Bouncing! The reasons given by the server are included to help you determine why each recipient was rejected. >> Do you have GMail rather than BigPond Mail? Read This! 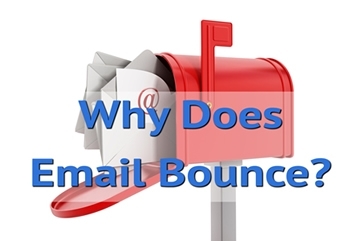 Please note that there are many possible reasons for why emails bounce, however the below is a very common cause for BigPond email failures. Tens of thousands of people use @bigpond.com or @bigpond.net.au email addresses and most sending emails from their computers will send via mail.bigpond.com. The problem here is that mail.bigpond.com does not require authentication if sending from a Telstra/BigPond internet connection; and thus if a user’s computer becomes infected, BigPond mail Servers become an easy transport for mass amounts of SPAM. BigPond does impose restrictions to help combat the spread, however it’s not perfect. As mass amounts of SPAM are sent out via BigPond mail Servers, they’re discovered and added to Realtime Blackhole Lists (RBLs). These Servers may remain on the RBL for a few hours or a few days however while on the blacklist, many BigPond customers are affected whether infected or not. Most receiving Mail Servers are configured to check incoming mail against RBLs to ensure the email is from a trusted source and not a spammer. If the sending Server is listed on the RBL, the email is rejected/bounced. So what can you do about it? In most cases, be patient and wait the 1-3 days. If you’re running a business, it’s always a good idea to register a domain name (e.g. noytech.com.au) and utilise email addresses within that domain rather than a common/public domain. For more information, contact us.